As we beat the heat and bask in the shade provided by trees across the region, we are reminded of the many benefits trees provide to our communities. From capturing stormwater and providing wildlife habitat, to improving public health and adding economic value to neighborhoods, a growing body of research and documentation validates the critical role that a robust urban tree canopy plays in our communities. 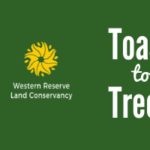 Reforestation is one way in which Western Reserve Land Conservancy improves the vibrancy and health of our region, especially in urban communities where tree canopies are dwindling and communities are losing out on these critical benefits. This past spring, the Land Conservancy held several tree planting events across the city of Cleveland in honor of Earth Day and Arbor Day. More than 60 volunteers helped beautify Cleveland’s Slavic Village neighborhood in honor of Earth Day! 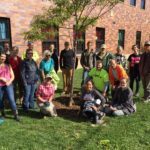 Volunteers picked up litter and planted 20 robust trees at the Boys & Girls Clubs of Cleveland and along Broadway Avenue. The beautification project was made possible through the generous support of the Third Federal Foundation and ArcelorMittal USA, as well as project support from the Boys & Girls Clubs of Cleveland, CityYear Cleveland, Holden Forests & Gardens, and Slavic Village Development. Staff from Western Reserve Land Conservancy and Holden Forests & Gardens supported Cleveland Neighborhood Progress and a number of community volunteers planting trees in Cleveland’s Central and Detroit-Shoreway neighborhoods thanks to support from KeyBank. Nearly 150 people attended our Toast to Trees celebration at Market Garden Brewery to support the Land Conservancy’s urban reforestation efforts. Market Garden Brewery generously sponsored the event and brewed a special tree-themed beer for the occasion, aptly-named More Bark than Bite, which sold-out before the end of the night! 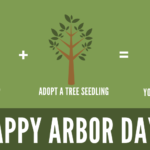 For the third year in a row, the Land Conservancy teamed up with Mitchell’s Ice Cream to distribute 500 complimentary tree seedlings to customers on Arbor Day. Throughout the day, Land Conservancy staff members and volunteers chatted with customers about the benefits of trees and proper planting techniques. Special thanks to Mitchell’s Ice Cream, Bartlett Tree Expert Company, and the Northeast Reintegration Center for their support of this event! 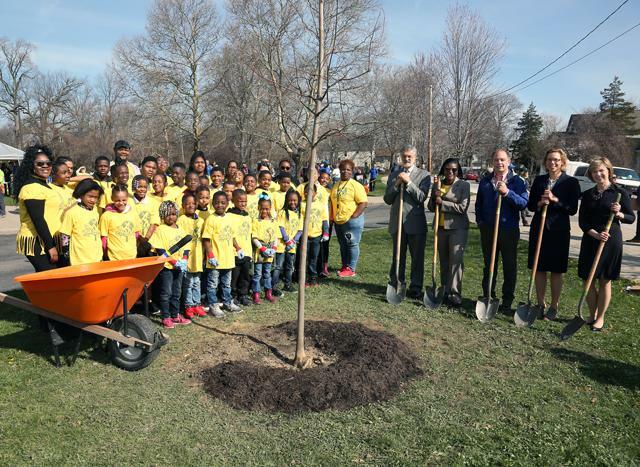 On a beautiful April morning, more than 75 community and student volunteers gathered at Cleveland Metropolitan School District’s Franklin D. Roosevelt (FDR) Academy in Cleveland’s Glenville neighborhood to celebrate Arbor Day! 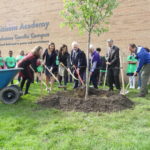 Students worked alongside school staff and volunteers to plant 25 robust trees on the FDR Academy campus and a Northeast Ohio Regional Sewer District (NEORSD) site adjacent to the school. The event, planned in partnership by the Land Conservancy and Holden Forests & Gardens, was generously sponsored by NEORSD, Dominion Energy, and Eaton Corporation. Additional support was provided by the Barlett Tree Expert Company, City of Cleveland Mayor’s Office of Sustainability, and the Davey Tree Expert Company.